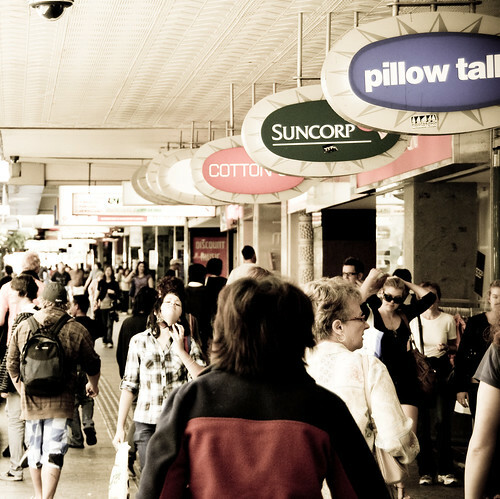 Queen Street Mall is Brisbane CBD’s main shopping strip. Boasting over 700 retailers, five major shopping centres, two department stores and four shopping arcades, Queen Street Mall is host to a large array of retail outlets, restaurants, cafes, bars, cinemas, salons, hotels, and the Conrad Treasury Casino. The mall is located in the heart of the city on Queen Street which ensures it is constantly filled with shoppers and diners alike. Constantly undergoing upgrades, as with the rest of Brisbane, the mall is ever changing. One reason achievement is the refurbishment of the intersecting Albert Street and the underground busway, giving greater access and more modern feel to the mall. The upgrades have also seen the introduction of regular artists playing both ends of the mall on weekends, along with the more traditional buskers performing shows during the week and on weekend at various times. Working in the city means regular visits to the mall so this must do is not particularly a big feat for me, but for tourists and visitors of Brisbane shopping at Queen Street Mall is a great way to explore what Brisbane has to offer. With plenty to explore on the mall and with the rest of the CBD within walking distance, it is a great way to start or end a day exploring Brisbane CBD.